There are common components in pallet racking and today I will go through them all so they will hopefully make more sense to you! Most step beams are roll formed members with a 1?? step along the top inside edge. This step is used to hold any load support components such as pallet supports or wire decks. Box beams have no inset step, instead have four flat sides like a box. 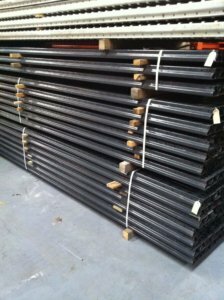 All load beams typically mount onto an upright frame column with integral rivets or hooks. Some systems utilize an extra clip or bolt to lock the beam to the upright. These vary in size and design depending on load requirements, and styles. The most common upright column is produced by roll forming flat coil stock steel into a modified “C” shape with returns. This style is often referred to as open-back roll-formed columns. Holes or slots are punched during manufacturing up and down the column at standard intervals so that the load beams can be mounted into the upright columns. Upright frames can also be constructed utilizing structural C shapes for columns. Structural uprights have an increased weight capacity over roll formed uprights. Bracings are usually welded between two upright columns to form selective upright frames. The bracing may be bolted to the columns in some cases. Pallet supports are roll formed channels that are placed front to back between the load beams to support pallets. This comes in two forms ? close-boarded and open-boarded. Close boarded decking provides a solid ‘floor’ to a level of racking while slatted is formed by rows of timber and acts as a permanent pallet. 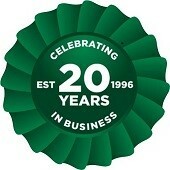 You can also get wire mesh decking which is made from steel and the best option in terms of fire safety. These are located at the base of columns and serve as anchors to give the rack more stability: anchor bolts are inserted through the baseplate?s holes to attach the column to the concrete floor. Footplates are made of thicker steel and in some geographic locations, they must be of a certain size and seismic rating. Footpads increase the pallet rack?s overall stability and weight-bearing capacity. Shima are used when the uprights are resting on uneven floors; the shims, equal in size to the base of the uprights, are installed beneath the uprights to level the rack. These are sometimes used if uprights are arranged in back-to-back rows; the spacers are mounted between adjacent columns to ensure that the rows are kept straight and to give the pallet racks even more strength and steadiness. Wall ties may be used for further support if the uprights are arranged in a row along a wall. These are protective shields that can be installed around the base of an upright to minimise damage where forklifts might hit the upright. Damage to the base of a column can weaken the entire frame and could cause it to collapse. Column protectors are made of various materials such as polyethylene, ductile iron casting, and other durable materials. 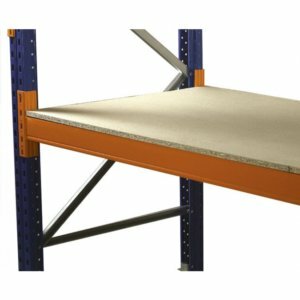 Guard rails are installed to increase protection for upright columns and for human safety when platforms or steps are attached to pallet racks. 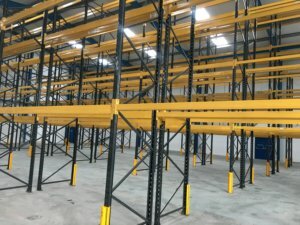 This really sums up the basic components of a pallet racking system. Very handy to know so you aren?t bamboozled by the terminology we might throw at you! I mean we are around it all day so we can?t help it!